I still love my Sawyer gravity filter but the Sawyer mini is a game changer! It's tiny, it's light, and it's fast and easy to use. Add the price point of $24.99, and you have yourself the perfect personal filter! 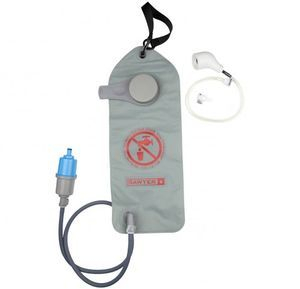 Added bonus, you can make it a gravity filter with a few alterations AND, the spout will fit directly into a bite valve meaning you can fill a water bladder back up without removing it from your backpack. That alone is the reason I use this filter so much now. When I'm filtering water for more than a few people, I still use the next filter below. Like many people, I started with a pump filter because they work and they've been around forever. What I hated about them was the amount of time and effort required to filter the water. I was spending up to 30 minutes filtering 2l of water. Enter the gravity filters. 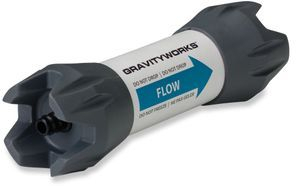 The Sawyer gravity filter and others like it require VERY little time and effort. Fill the bladder, hang it from a tree, and let gravity do all the work. With the design of the Sawyer filter, the clean end of the filter has a quick connect which snaps right into my Platypus Big Zip Hydration Reservoir. This system allows me to filter directly into my water bladder hands free in a matter of minutes! To keep this system clean and flowing well you simply reverse the flow to clean the filter. This is called back flushing the system. It is very important that you back flush this type of filter often. As long as you do, these filters will treat literally a million gallons of water without replacing the filter. 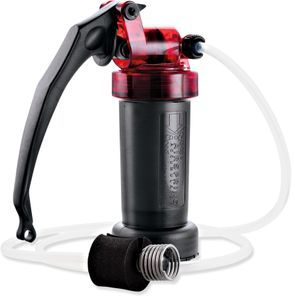 Compared with pump filters, gravity filters are lighter, faster, and pack down to almost nothing. These filters physically remove particles, protozoa, and bacteria down to 0.1 micron in size, including giardia, salmonella and cryptosporidia. I especially like the handle on the dirty bag which is very useful when scooping up water. Platypus makes a system called Gravityworks which does the exact same thing minus the convenient scoop and quick connect systems. 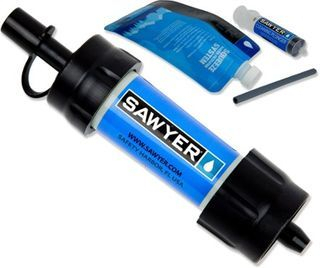 Other popular filters using the same technology are the Sawyer squeeze filters. 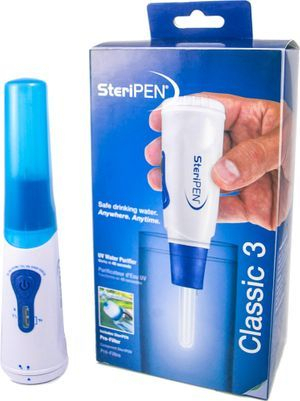 There are 3 common types of water filters which I will discuss below. There are pros and cons to each system and depending on where you plan on using it, there is not necessarily one best option. 1. Pump Filters essentially force water through a ceramic element often times with a carbon core. They effectively remove bacteria and protozoa. Pump filters with a carbon core also remove taste and odor. These filters have been around for a long while so they have withstood the test of time. Cons: Replacement filters elements are expensive. 2. Hollow Fiber Membrane Filters are relatively new to the consumer market. These filters use the same technology of hollow microfibers that are used in kidney dialysis. Essentially, water travels through 1000's of hollow tubes large enough to allow water to pass but too small to allow bacteria and protozoa to pass through. With no pumping required and no filter to replace, these filters have become extremely popular. 3. Ultraviolet or UV Filters  use ultra violet light to destroy a cells ability to reproduce. Bacteria and Virus's both make us sick by reproducing themselves in our body. These filters are great when traveling to area's where virus's present a risk. They rely on lithium batteries and only work well with relatively clear water. These units will not function on very cloudy, murky, or muddy water. Boiling Water is effective against both virus's and bacteria. Be sure to bring the water to a full rolling boil for at least one minute. Iodine or Chlorine Dioxide Tablets are also effective on both virus's and bacteria. They can take anywhere between 30 minutes up to 2 hours to become effective. This method leaves a distinct chemical taste in the water. In my opinion, tablets are best used as a backup source of water treatment.